What do you do when your 15-year-old comes home drunk after a party? 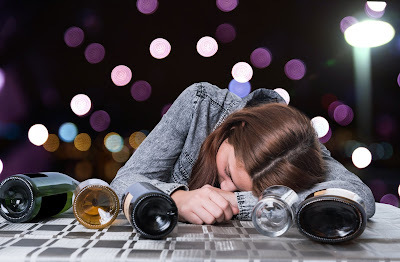 Although we are continuing to see more young people choosing not to drink alcohol, if your child lives with you for long enough (and evidence suggests many of you will still have them living in your house until they're in their mid 20s at least! ), there's still a good chance that at some point they'll turn up at your door feeling a little worse for wear. They went out with friends, had a little bit too much to drink and you've got to end up looking after them … Now if they're 18 or over when this happens, you may not necessarily be happy about it but they're 'legal' - once they've recovered, you certainly have the right to tell them that they're living under your roof and have to follow your rules, but realistically most of us make a mistake at least once when it comes to drinking (that's how we learn about our limits) and most parents help clean their drunk son or daughter up, mop up the mess, make sure they're okay and move on. 'Mum, I can't lie – I did have a couple of sips at the party …": When does 'honesty' become 'manipulation'?